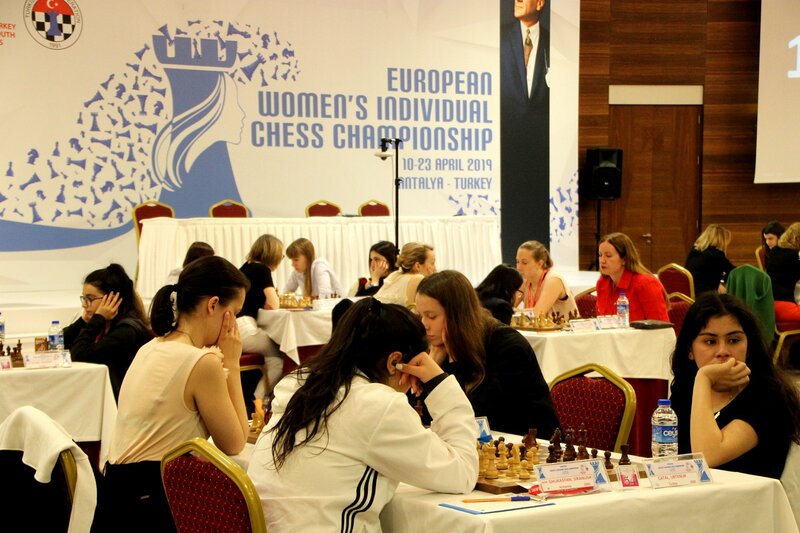 Three rounds have been played at European Women’s Individual Chess Championship 2019 in Antalya, Turkey, and 22 players tie for the top, each with 2.5 points. 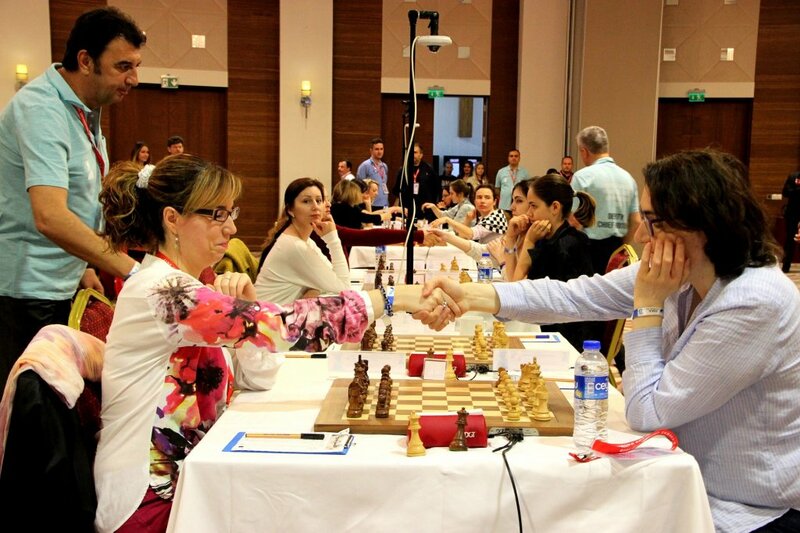 The event was officially declared opened before the start of the first round. 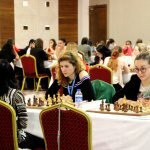 The President of European Chess Union, Mr. Zurab Azmaiparashvili greeted the participants, while the President of Turkish Chess Federation, Mrs. Gulkiz Tulay, made the first move on the first board, in the game between Goryachkina Aleksandra (RUS, 2534) and Calzetta Ruiz Monica (ESP, 2283). 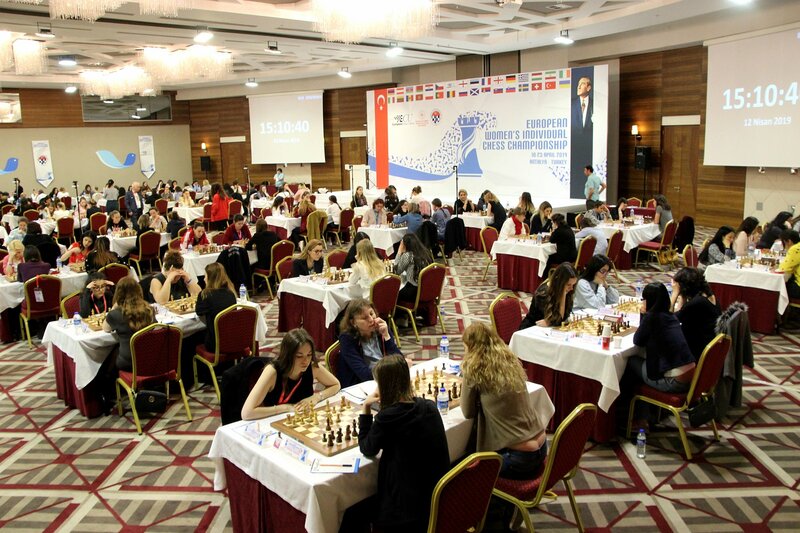 131 players coming from 32 European federations fight for the throne of European Women’s Individual Chess Championship 2019, which takes place from 10th-23rd April in 5 stars hotel Aska Lara. Many top seeders suffered upsets in the first three rounds. 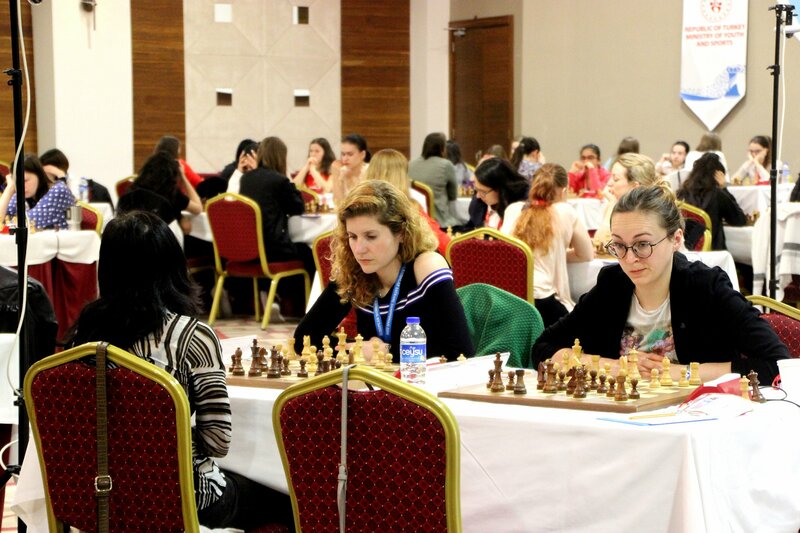 Number one on the starting list of players, Goryachkina Aleksadra (RUS, 2534), made a two draws in the first two rounds, against Calzetta Ruiz Monica (ESP, 2283) and Gajcin Marina (SRB, 2247). 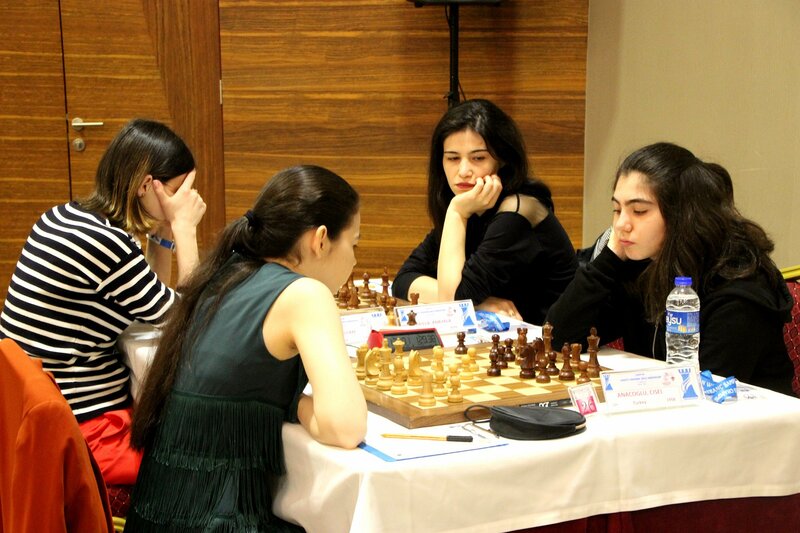 Dzagnidze Nana (GEO, 2513), the second top seed, started with a victory, but in the second round drew with white pieces against Vega Gutierez Sabrina (ESP, 2391). 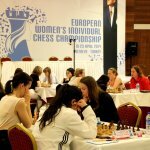 In the third round, Dzagnidze suffered a loss in the game played against Guichard Pauline (FRA, 2392). 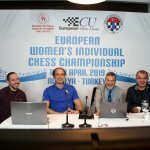 The 4th round promises more exciting games and starts at 15:00 (local time). 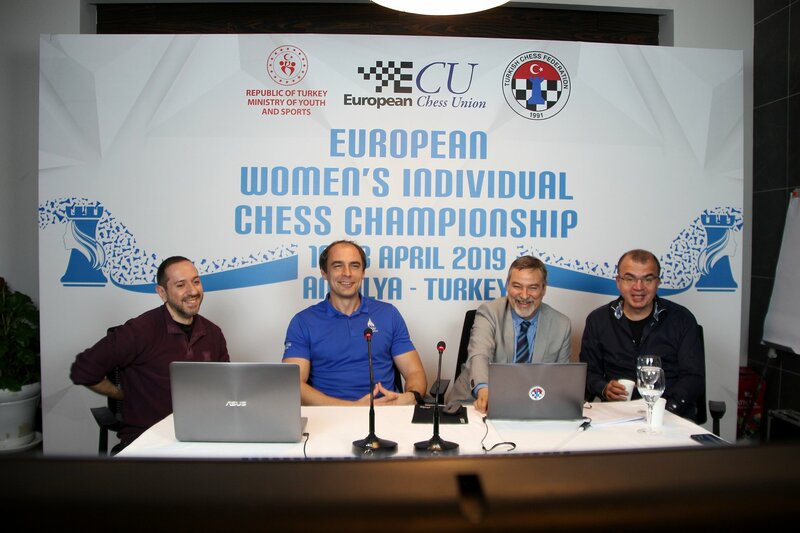 Live transmission of the games can be followed through the official website of the Championship, together with the live commentary by GM Ioannis Papaioannou and IM Can Arduman and special guests daily.